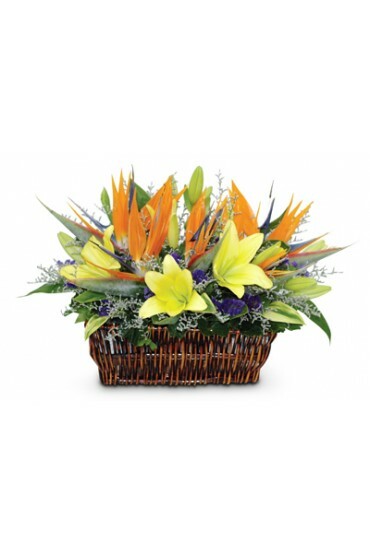 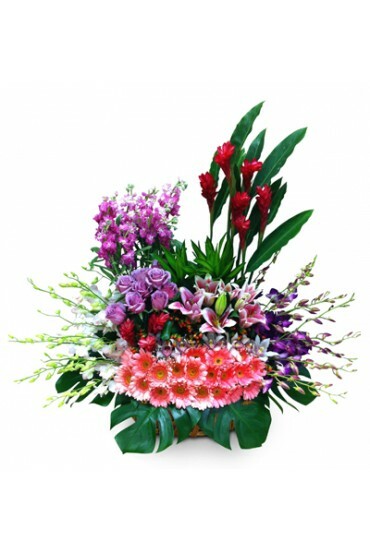 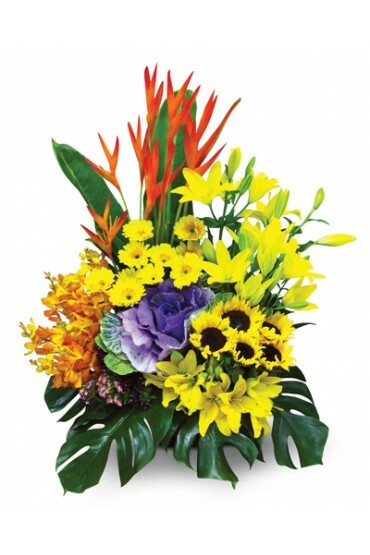 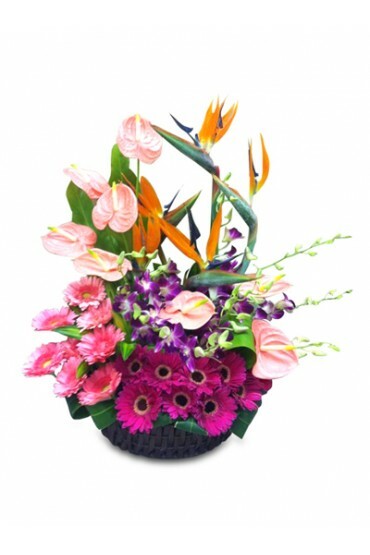 Flower Basket Arrangement: 20 stalks of Mixed Gerberas, Pink Anthuriums, Bird of Paradise, Orchids and other green leaves. 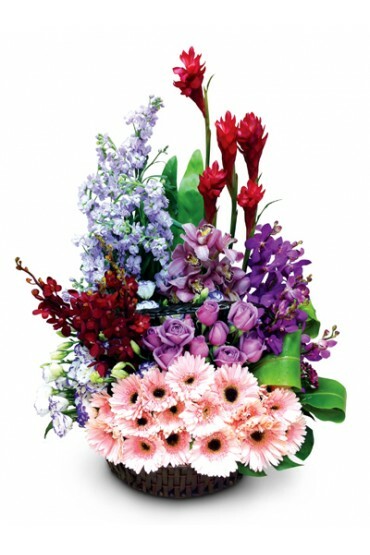 Specially for all wonderful mothers on this special day. Designs may vary for outstation orders.